Special rates for early bookings valid until 31.03. Discount 10% for June, July and August. Deposit of 50%. 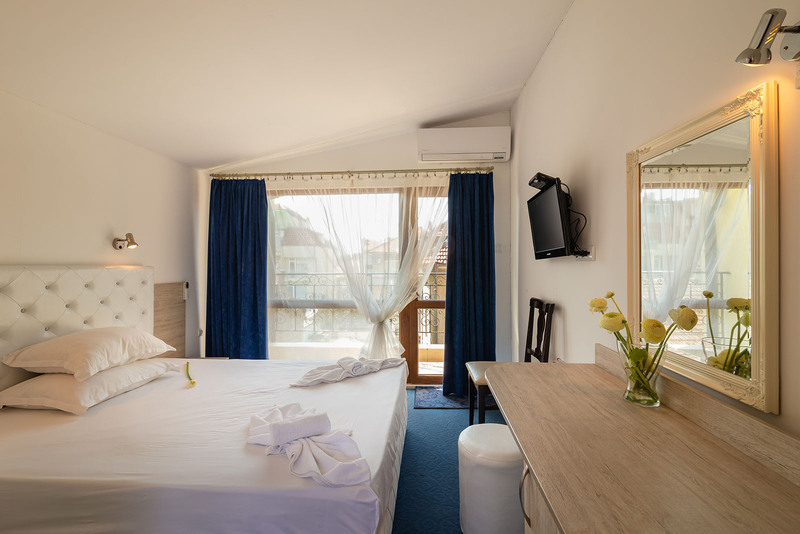 Hotel “Zeus” is in the picturesque Old Town of Pomorie at the Black Sea coast. It is located in the central part of the town, five minutes’ walk from the beach. 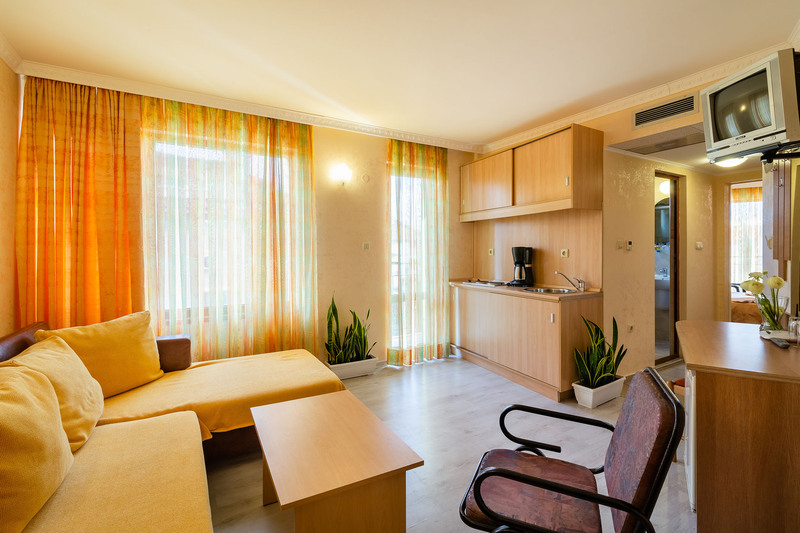 It offers bed and breakfast in single, double bedrooms, studios and family apartments, furnished with style and conception. The hotel works all year round. The restaurant is sophisticated and cosy. It offers traditional Bulgarian food and sea food. It is famous in Pomorie and the region for its unique gourmet dishes and delicious sushi. 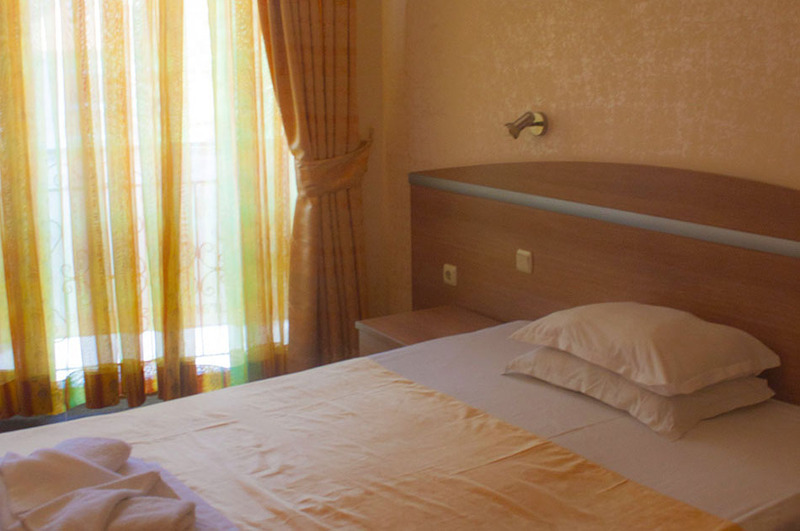 Hotel “Zeus” is a quiet and peaceful place for your sea holiday. A great place for you summer vacation at the Black Sea coast. The hotel is suitable for couples, families and business meetings. If you contact us, we can make special offers for you. 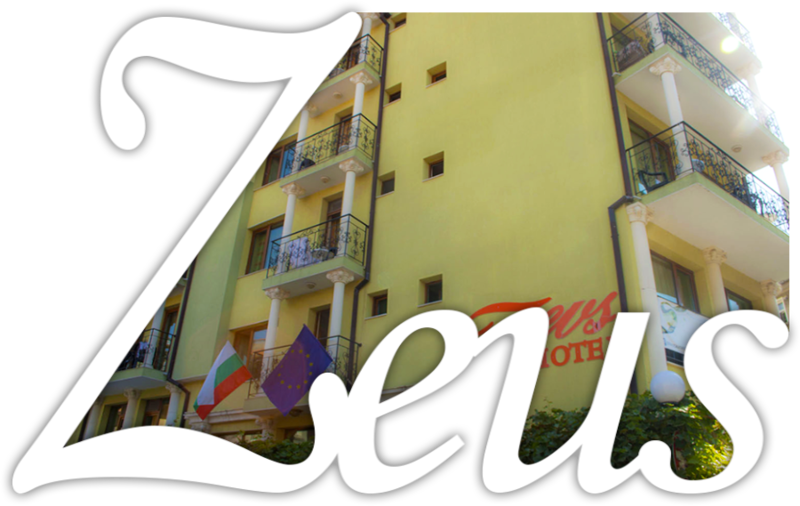 You can book your holiday in Hotel “Zeus” and use our special priced packages.